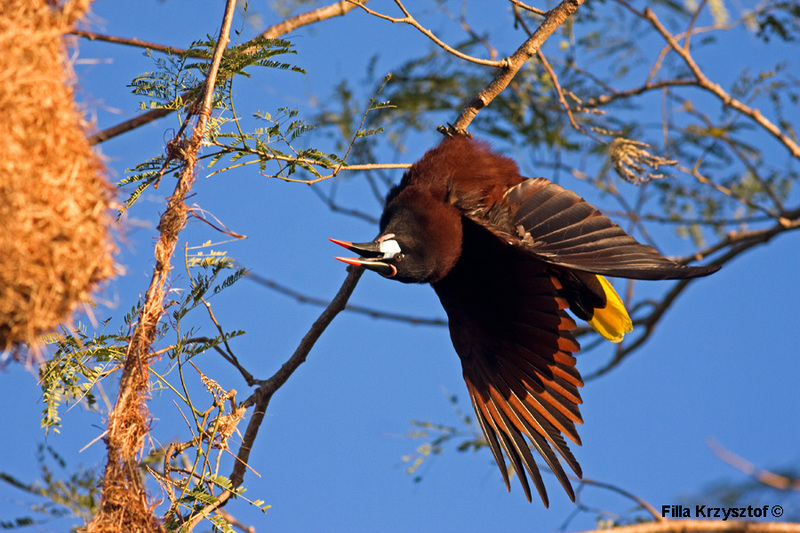 The Montezuma oropendola (Psarocolius montezuma). This bird occurs in the eastern part of the Central America. It weaves nests in the shape of a sack out of dry grasses and tiny twigs. They live in colonies of about 30 nests. The first part of the bird's name commemorates the Aztec emperor Montezuma and the second part is a Spanish word which means golden pendulum. That is a little odd and distinctive feature of the bird when it leans foreword and then swings down as a pendulum producing a gurgling sound.